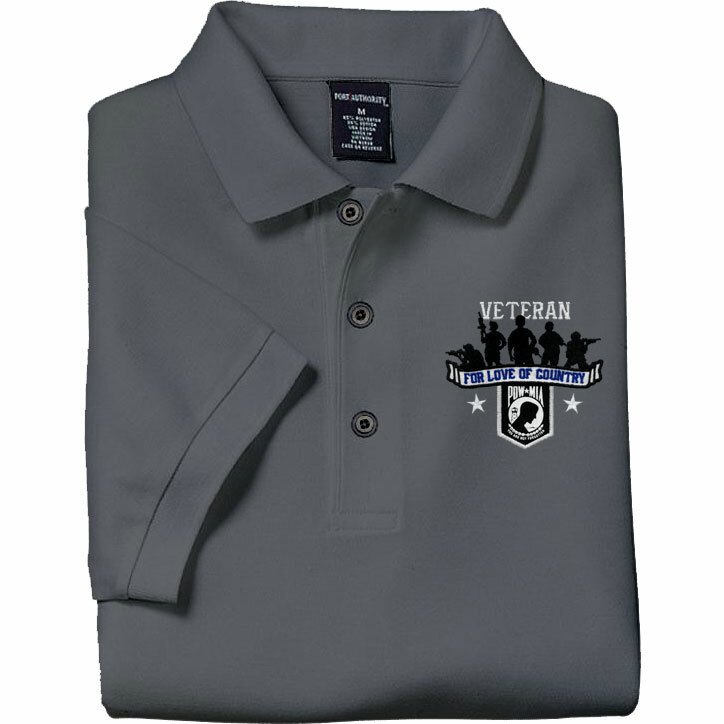 Remember America's heroes in embroidered "Veteran • For Love of Country" POW-MIA shirts. <br><br> Personalized on the right chest in white thread. 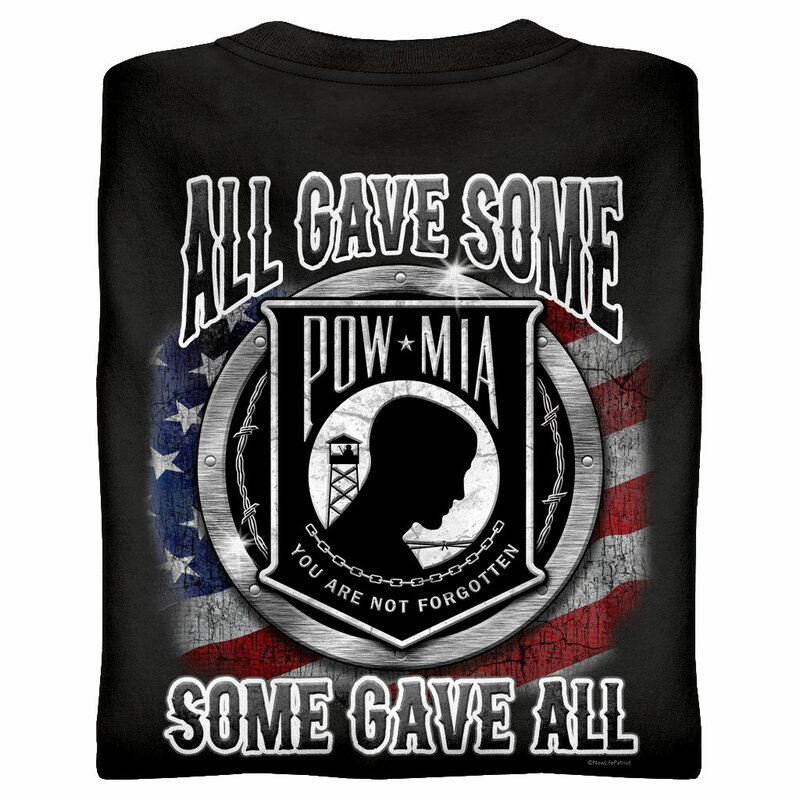 Remember America's heroes in embroidered "Veteran • For Love of Country" POW-MIA shirts.